Award-winning, visionary director Alma Har’el unveils JellyWolf, a new short film for The Fifth Sense, a digital platform from i-D and CHANEL that explores the emotion of scent and the way it inspires female creativity. 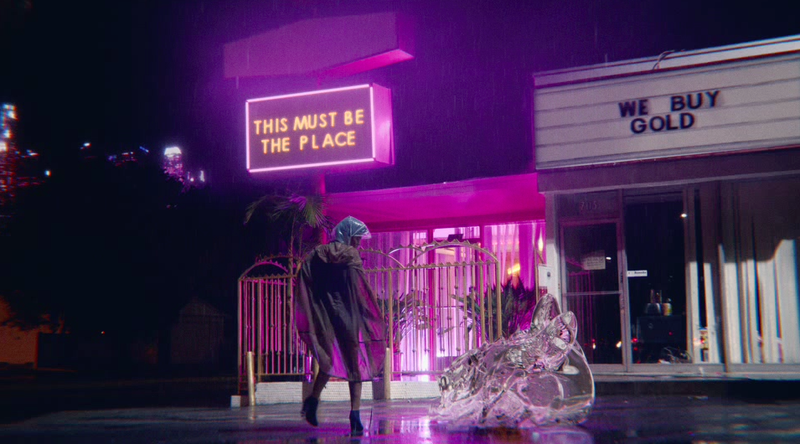 Har’el’s eight-minute piece stars actresses Kiersey Clemons and Lisa Bonet in a magical, realist version of downtown LA brought to life with beguiling special effects: the young Clemons sets out on a journey to discover her mythical spirit animal “JellyWolf” with the help of Bonet’s modern shamanic beauty parlor owner. Carrying a box of mementos each inspired by key ingredients of CHANEL’s N°5 L'EAU, including lemon, wood and rose, Clemons’ character embarks on a visually spectacular synesthetic journey inspired by the memories each scent conjures. With each new vision she unlocks, she deepens her understanding of the woman she is, as well as her connection to her passing grandmother and other women in her life. Renowned musician Natasha Khan (Bat for Lashes) collaborated with Emile Haynie for the first time on JellyWolf’s opening track, whilst the film’s main music is 'Ha Howa Ha Howa' by Sexwitch (Natasha Khan and TOY collaboration). Director Har’el has been lauded for her genre re-defining work that melds documentary and fiction. She picked up the top prize at Tribeca Film Festival for 2011’s Bombay Beach, as well as premiered her critically acclaimed latest feature LoveTrue, in 2016 to rapt audiences with longtime collaborator Shia LaBeouf as executive producer. The reality-bending post production FX was brought to life by the team at DetEast Mexico, overseen by VFX supervisor Diego Vazquez. Editor Lenny Mesina of Therapy Studios brings a sense of movement and pacing that engages the viewer immediately and propels the narrative with a relentless flow, while the soundbed crafted by Therapy sound designer Eddie Kim heightens the tension and atmosphere. Colourist Brandon Chavez provides the richly saturated palette for the film, with sleek title design created by Placeworks + Scraplabs. Kiersey Clemons is best known for her breakout role in coming of age comedy drama DOPE (produced by Pharrell Williams) as well as her recurring role as Bianca in Emmy and Golden Globe award winning series Transparent. Her star is set to rise even further during 2017, with a host of roles including in the sequel of 1990 thriller FLATLINERS alongside Ellen Page and Diego Luna. Lisa Bonet became a fixture on screens across millions of homes thanks to The Cosby Show; she cemented her cult status with roles in modern classics such as Angel Heart, Enemy of the State and High Fidelity, as well as memorable cameos on shows including New Girl and HBO’s Girls. She joins Clemons for the first time on screen for Har’el’s powerful vision. In addition to JellyWolf, a shortform documentary called Making Films is released on The Fifth Sense, as part of the platform’s Makers series, chronicling the making of the film and Har’el’s experience in the film industry. Eva Michon directs, with a line up of leading women from the film world including Crystal Moselle, Lola Bessis, Janicza Bravo and Tabitha Jackson. The Fifth Sense was launched in 2016 by i-D and CHANEL and since then has continually pushed creative barriers alongside some of the most exciting names working in fashion, design, photography, film, tech and art. This commission from Har’el is the fourth installment of work inspired by CHANEL fragrances, following a large-scale installation from set designer Es Devlin, a multimedia photography and film project with Harley Weir and an interactive site coded to the vision of digital artist Lucy Hardcastle. The Fifth Sense site also features a wide range of coverage relating to inspiring and creative women from a broad spectrum of genres, offering personal insights into their work and visions through articles, photo stories and other features.